What's the best way to make money from a Casino??? How to make money from a casino. well the best way is to buy it. Today we are going to talk about the Company which is a market leader in the Indian casino industry, "Delta Corp Limited" which operates with the brand name "Deltin". 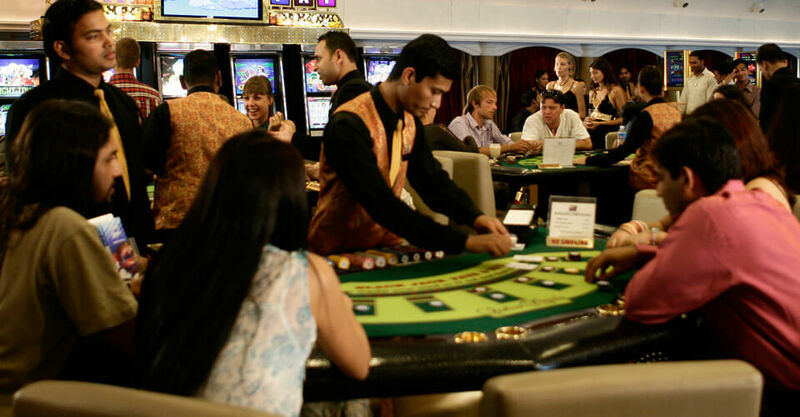 The Company is primarily engaged in the business of gaming & hospitality and has captured a lion's share of the Indian gaming market through its 5 casinos in Goa & Sikkim. 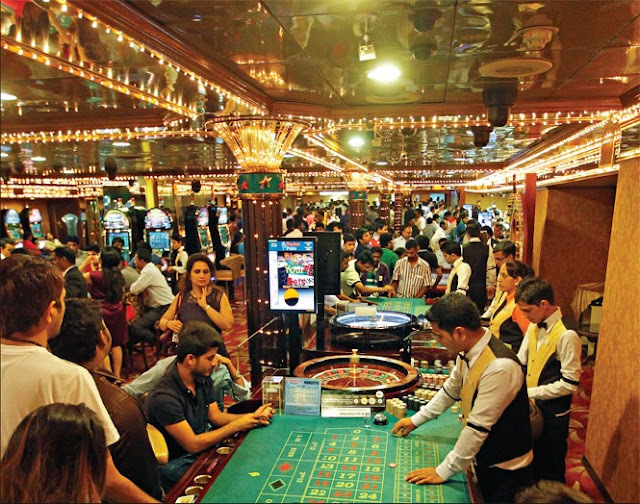 The Company started its gaming & hospitality operation in India in 2006-07 and by the year 2010 it had 2 offshore casinos in Goa namely 'Deltin Royale' & 'Deltin JAQK'. It's promoted by Mr. Jaydev Mode, a noted industrialist and businessman who has over 35 years of experience in various businesses including gaming & hospitality, textiles and real estate development. Under his leadership, the Company has established itself as a leader in the gaming industry in India. The Company has a strong & high quality management team with significant operating & delivering expertise and the same is demonstrated from the Company's growth and sound financial position. 1. 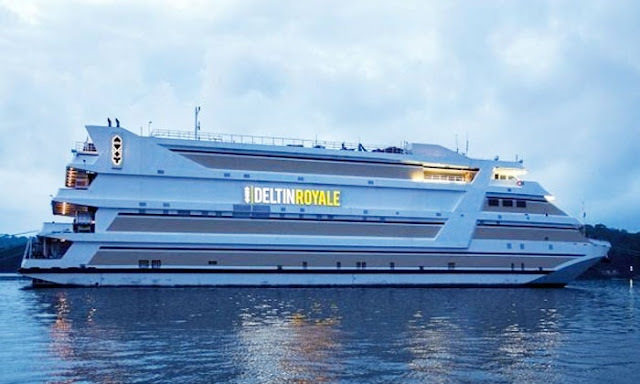 Deltin Royale -> Asia's larger casino vessel with 40,000 sq.ft. of gaming area offering 1,000 live gaming positions. Also has the India's largest poker room. 2. Deltin JAQK -> Gaming area of 16,00 sq.ft. offering 500+ live gaming positions. 3. Deltin Caravela -> The boutique luxury floatel offering 150+ gaming positions and exclusive luxury service to its customers with a aim to grow Goa's share of the top-end luxury segment of tourists. 5. Deltin Palms ->Offering 27 private residences with all modern amenities ranging from restaurants to spa. 1. The Deltin -> It is the first 5 Star hotel in Daman, spread over 10 acres making it the most iconic property in Daman due to its proximity to Mumbai & Ahmedabad. The Company is awaiting its casino license for establishing the first land based casino in Daman with 60,000 sq.ft of gaming space to offer. 1. Deltin Denzong -> The Company on 16 January 2017 has been issued a license for operations of casino in Gangtok, Sikkim and is fully ready to commence its operations. The Company owns "Adda52.com", which is a reputed online poker website having a strong presence in the India's online poker industry. The global industry for casinos and gaming is estimated to have a current net worth of just over $450 billion and the industry is witnessing a revenue shift from the US to Asia. Delta Corp is in the lead to grab this opportunity and label India as one of the Asian face in casinos and gaming. The above offerings makes the Company a dominant & formidable player in the Indian gaming industry by not only having a significant presence in traditional market but also in the online gaming space. -> Strong revenue growth on a period to period basis with a clear upward trend in FY 2017 vs. FY 2016 revenue numbers. -> Strong EBITDA numbers in all the period for which the Company has released its results in FY 2017. The Company has an impressive EBITDA/Revenue % of 37 % for the 9 months ended 31st December 2016. -> The Company has achieved a Positive EPS of Rs. 2.7 from a negative EPS of Rs. 0.04, clearly demonstrating the impressive capabilities of the Management of the Company. Debt-Equity ratio 0.32 0.42 Decrease by 0.10. -> Along with expanding its market presence from Goa to Daman & Sikkim the company has also succeeded in maintain a healthy debt-equity ratio. -> Improvement in the current ratio by 0.47 times clearly shows that the Company is efficiently managing its working capital. Given the Company's market position and the immense growth potential which the Indian gaming industry offers to the existing market as well as potential market players, the Company stands apart as a market leader with a commanding market position not only in the present scenario but also has the capability & expertise to do so in the future. The Company is currently trading at Rs. 180 and based on the above insights, we expect it to reach to a level of Rs. 220 to 230 within a period of next 12 months. Thereby giving a decent tax-free* return of 25 % to 30 %, if invested at current levels with a long term investment horizon. 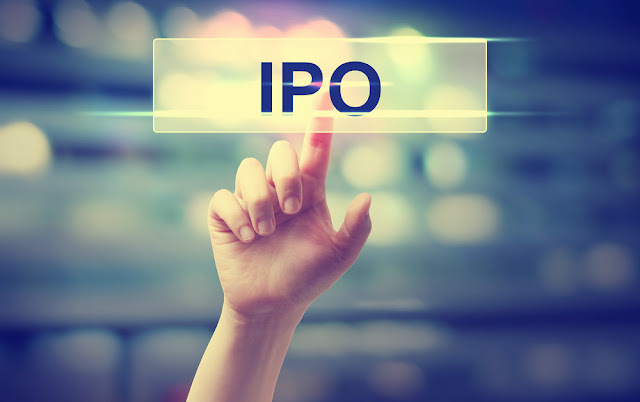 * Under section 10(38) of the Income Tax Act, 1961, long term capital gain on sale of equity shares is exempt from levy of income tax, provided STT is paid on the purchase as well as on the sale of shares. An investment period of more than 12 months is termed as 'long term'. Annual report of the Company for FY 2015-16. Published results of the Company for the periods as given above, downloaded from the Company's website. Announcements & Intimations made to the Stock exchanges (BSE & NSE) as per the SEBI guidelines. No financial interest in the company. Yes very much. Looks like India is growing well!! !